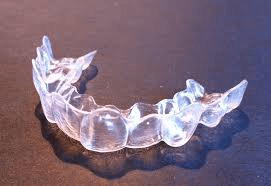 OX Orthodontix – Do Direct to Consumer Aligners Work? There’s been quite a buzz generated over the past couple of years about direct to consumer aligners that allow people to skip visiting an orthodontist in order to get straight teeth. Direct to consumer clear aligners are now being offered by several companies that promise you can improve your imperfect smile on your own, without the help of a licensed orthodontist, to save yourself a considerable amount of time and money. So what’s the real deal with this at-home orthodontic treatment? Is it a good idea? If you sign up with a company offering Invisalign knock-offs, you’ll get a kit in the mail with instructions on how to take your own dental impressions. Once you take the impressions and send them back, you’ll receive a sequence of aligners with instructions on how to wear them. You will be told that a dentist or orthodontist has reviewed and approved your treatment and that you should contact customer support if you have questions or concerns. Otherwise, you’re completely on your own! In essence, you become your own orthodontist, overseeing your treatment. At OX Orthodontix, we take a hands-on approach to each patient’s individualized treatment. The realignment of the teeth and bite is something that must be done correctly. The experienced orthodontists at our practice have the training and expertise needed to help you achieve your most perfect smile, that’s both healthy and attractive. We warn against the use of direct to consumer aligners because it’s very important that an orthodontist oversees the entire treatment process from start to finish. Orthodontic treatment is something that must be closely monitored and sometimes adjusted. Even though we use the latest technology to help devise each patient’s treatment plan for Invisalign, treatment doesn’t always stay on track. For instance, a patient’s treatment plan may need to be tweaked and adjusted if that patient fails to wear his/her aligners as directed. Without an orthodontist available to monitor and adjust treatment, there is no way to ensure that treatment will be successful. Innovation combined with good old-fashioned TLC is the cornerstone of the OX Orthodontix philosophy. We’re very proud to be Howard County’s Invisalign Top 1% Provider, a distinction we’ve earned by providing over 6,000 patients with successful Invisalign treatment. To get started on your personalized orthodontic journey, please call our Ellicott City office at (410) 740-0002 or our Clarksville office at (410) 531-1310 to schedule your complimentary consultation. We’re excited about meeting you soon!